Greenfield Ride-On Mower Fastcut Hydro 17.5/32"
Greenfield has teamed up with Cox Australia to deliver an Aussie made product at a cheaper price point for the people of Australia. The new Greenfield Fastcut Hydro still has some of the features you have come to know and love such as its ability to cut almost anything, swing back blades and compact design. It is powered by a single cylinder 17.5hp Briggs and Stratton engine and features a 32" cutting deck. 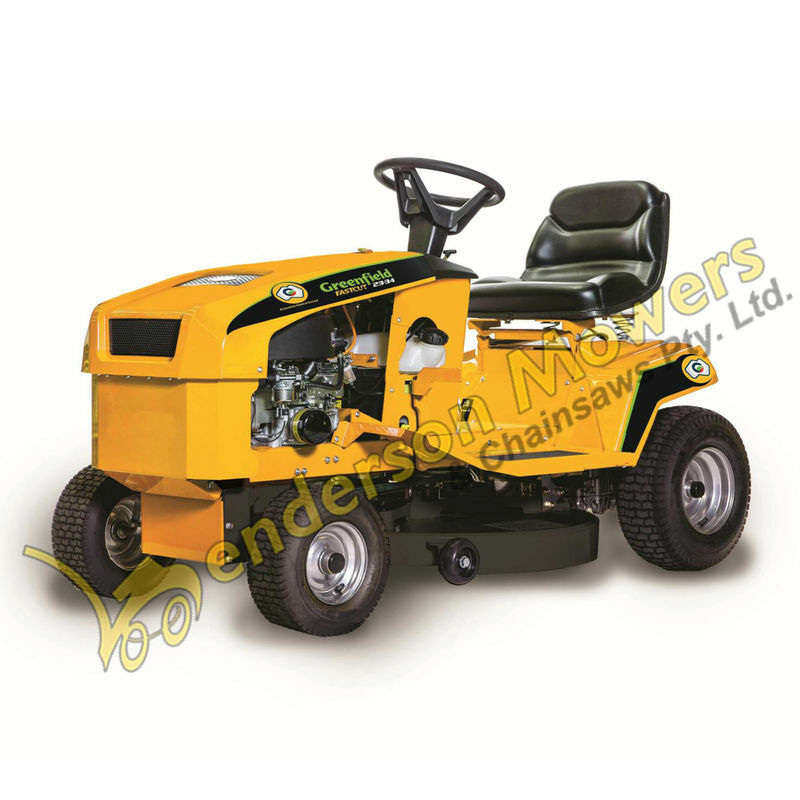 The mower is also equipped with a electromagnetic clutch engagement making it easy to operate. In stores now! The hydrostatic drive is super easy to maintain and makes the machine heaps easier to operate as there is no clutch system it is simply forward and reverse with your heel and toe. Swing back blades revolutionised the Australian lawn mower market as their high blade tip speed and ability to take an impact both makes them more ideal for Australian conditions but also safer for the mower. If you hit a rock/ stump with an American mower any impact can cause damage to spindle housings whereas the the swing back blades can take the impact and rotate out of the way. The electric PTO means that engaging and disengaging the blades has never been easier. With a simple push of a button you can bring the blades into play removing the hassle of manual engagement systems.